Issue Three ready to launch at Thought Bubble 2015! We’re super excited to announce the imminent launch of the penultimate issue of Alien in the Outfield. Issue three is set to debut at the Thought Bubble comic convention in Leeds on the weekend of 14-15 November. We had a great time at Thought Bubble last year and we hope you’ll join us again this time around! Tickets are still available from the Thought Bubble website. We’ll be on table 53 of the Royal Armouries Hall and we’ll be fully loaded with issues 1-3, stickers, prints and loads of other great swag and surprises. 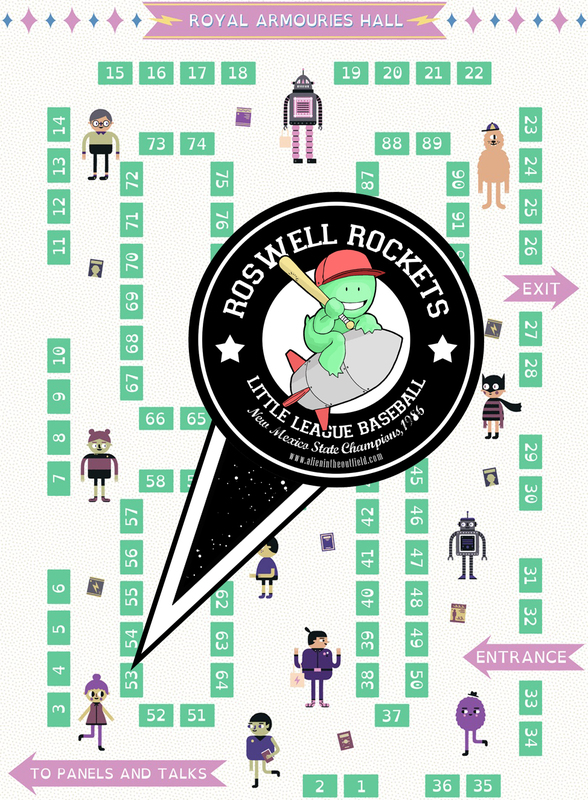 Here’s a map so you can find us to come and say hi and help cheer us into the final innings of our extra-terrestrial sports adventure!